Data Shows Bars With Most Noise Complaints, But Is It Just Sound and Fury? Recently released 311 complaint data reveals a veritable who’s-who in the neighborhood’s ongoing struggle with nightlife. 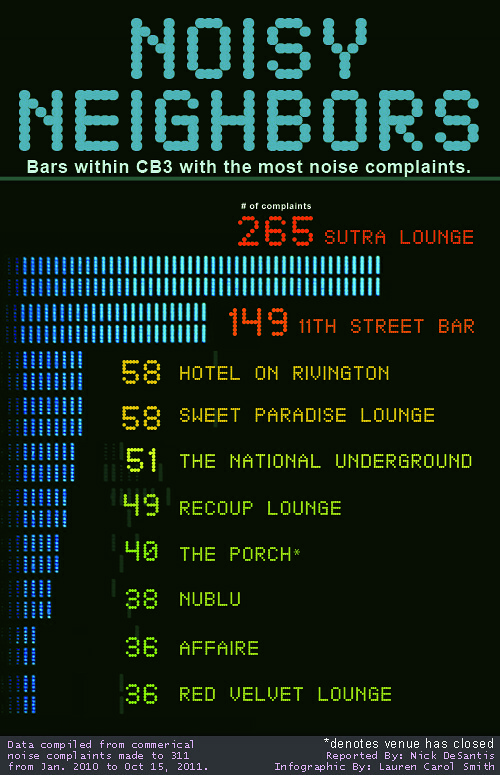 An analysis of commercial noise complaints submitted to 311 between January 2010 and October 16, 2011 finds that some familiar faces like La Vie, Sin Sin Lounge and Nublu are near the top of the list. 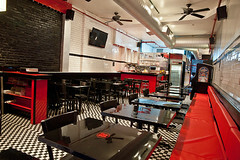 The data, which represents the most recent 311 complaints available on NYC Open Data, shows that the undisputed champion of noise complaints in the East Village is Sutra Lounge. The hip-hop lounge had a whopping 265 complaints during the 22-month stretch — 116 more than the runner-up.